RALEIGH — North Carolina Supreme Court Justice Michael Morgan will be among the experts presenting on N.C. administrative law at Campbell Law Review’s 2019 annual symposium on beginning at 8:30 a.m. on Feb. 22, at the law school. Participants can receive 7.5 CLE credits for $30, according to organizers. 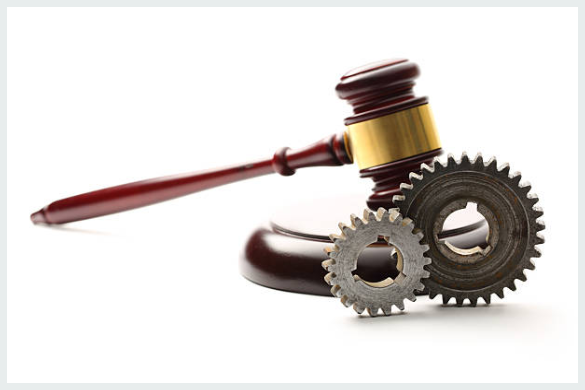 The symposium topic, “The Silent Machine: How NC Administrative Law Affects You and Your Practice,” caters to both administrative law attorneys and general practitioners and will explore how N.C. administrative law applies to various types of practice areas. In addition to Justice Morgan’s presentation, experts will explore administrative law topics ranging from N.C. DMV Administrative Procedures to Ethical Concerns in Administrative Law. Attendees will also receive instructional materials. Registration for the event is available on Campbell Law Review’s website. In addition to the opportunity to earn CLE credits, breakfast, lunch, and refreshments will be provided by the organizers. The symposium is part of Campbell Law School’s 10/40 “From the Capital to the Creek” anniversary celebration — recognizing the 10th anniversary of moving to downtown Raleigh from Buies Creek and the 40th anniversary of its first graduating class. Since its founding in 1976, Campbell Law has developed lawyers who possess moral conviction, social compassion, and professional competence, and who view the law as a calling to serve others. Among its accolades, the school has been recognized by the American Bar Association (ABA) as having the nation’s top Professionalism Program and by the American Academy of Trial Lawyers for having the nation’s best Trial Advocacy Program. Campbell Law boasts more than 4,200 alumni, who make their home in nearly all 50 states and beyond. In 2019, Campbell Law will celebrate 40 years of graduating legal leaders and 10 years of being located in a state-of-the-art facility in the heart of North Carolina’s Capital City.